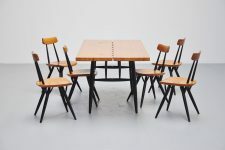 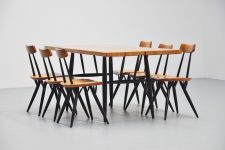 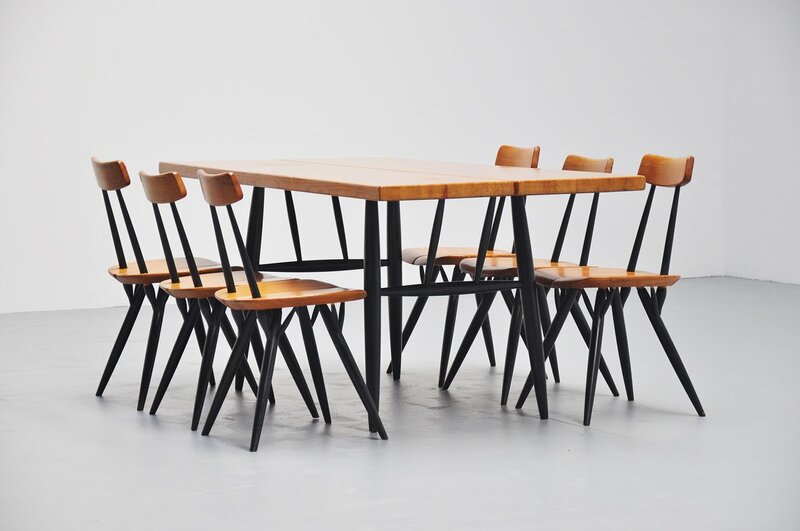 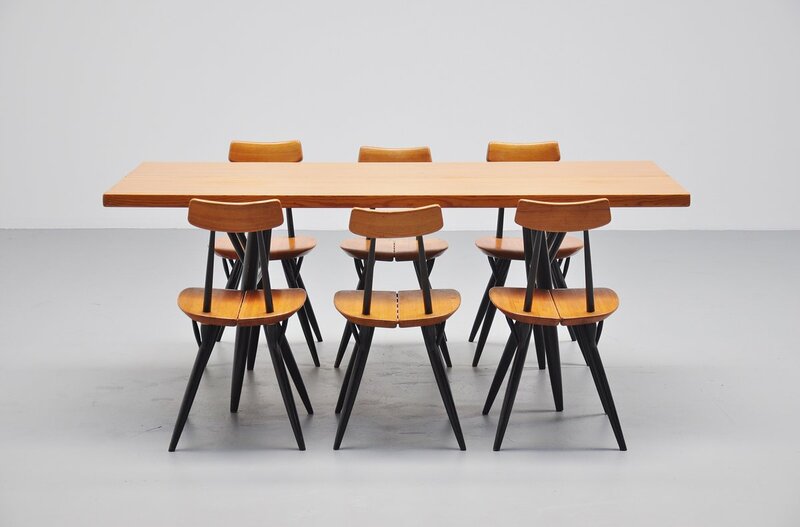 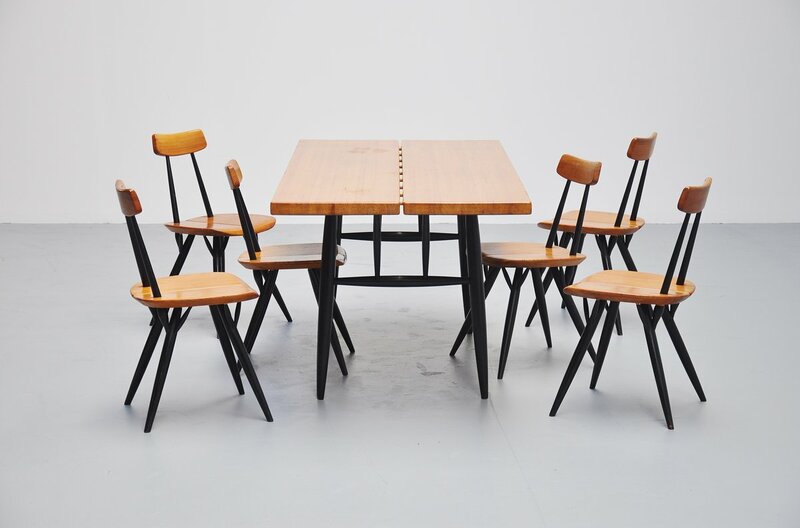 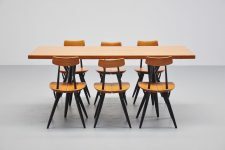 Rare first production dining set designed by Ilmari Tapiovaara for Asko, Finland 1955. 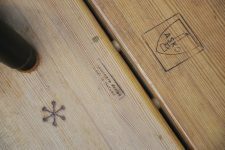 Asko was the first producer for the Pirkka furniture, later on these series were made by Laukaan Puu. 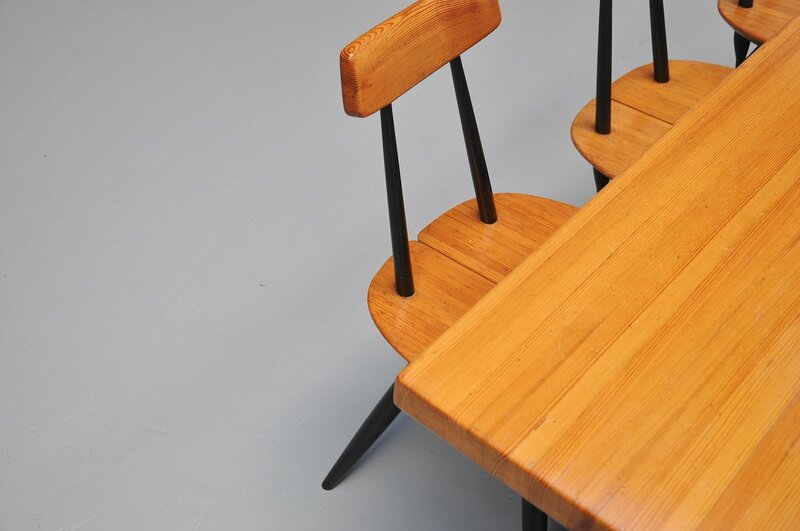 Very nice pine wood and black lacquered legs. 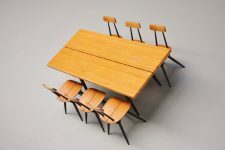 Cosy and fund breakfast or dining table. All items are marked with the ASKO brand mark at the bottom.